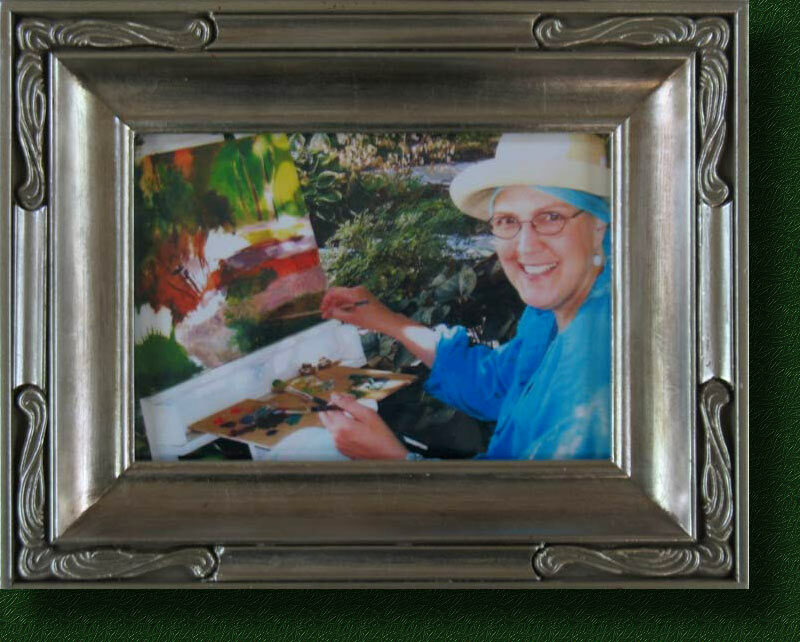 Over the years Jan and Bill/Lou met several times around her desire to put together a compilation of her many works of art. She saw it as a combination resume, marketing tool and archive. However, her hundreds of art works span decades and the huge effort to capture and present it all is a task she was never able to complete. Our web presentation of Jan's work here is but a slice. Day and Chris have documented the artworks that remained in Jan's house in Door County as of mid-May '08. In Jan's stead, Day has given them descriptive titles; check them out at these webpages.